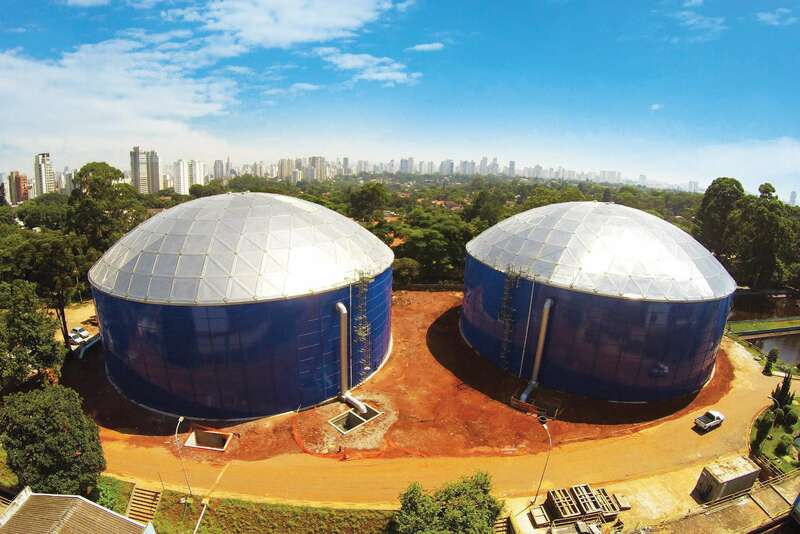 These tanks are instrumental in the water supply of Sao Paulo, Brazil and will add over 40,000 m3 in needed storage capacity a year. These tanks are the two largest bolted RTP tanks in Latin America. 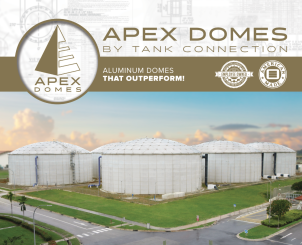 Constructed entirely of aluminum, utilizing our proprietary component fabrication, Tank Connection domes are corrosion resistant, maintenance free and designed for extended service life. 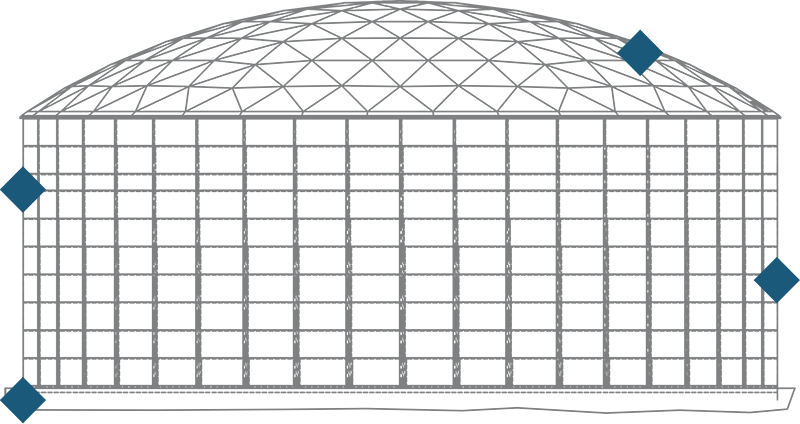 Our proprietary LIQ Fusion 8000 FBETM is NSF 61-certified and is unmatched in performance. 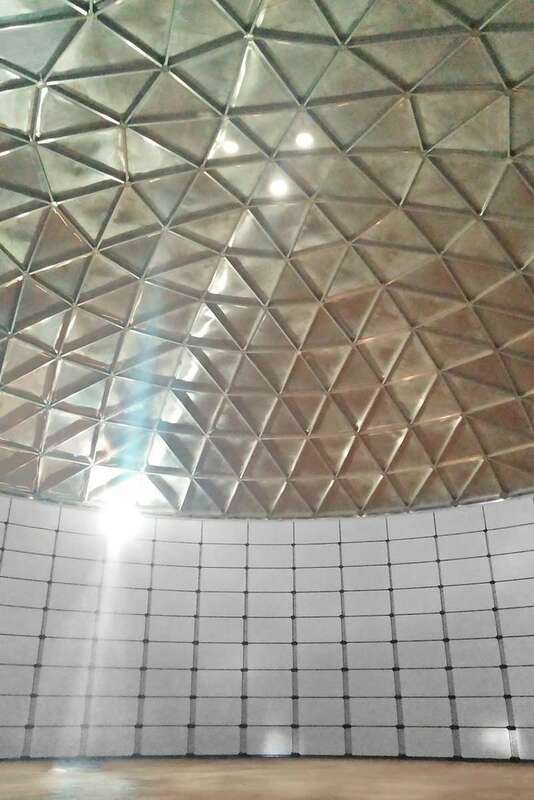 It is a stronger system than “vitreous enamel/glass” for liquid applications. 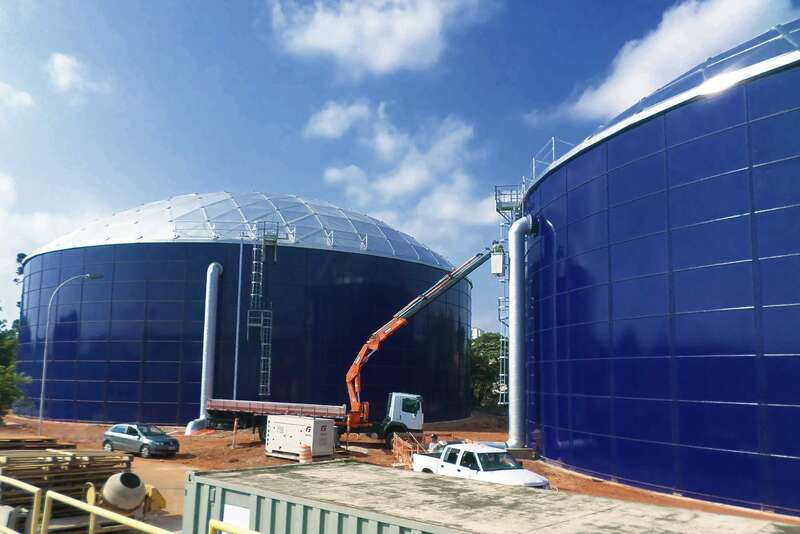 This project was awarded to Tank Connection through our Latin American dealer, O-Tek, by SABESP, the largest water company in Brazil. 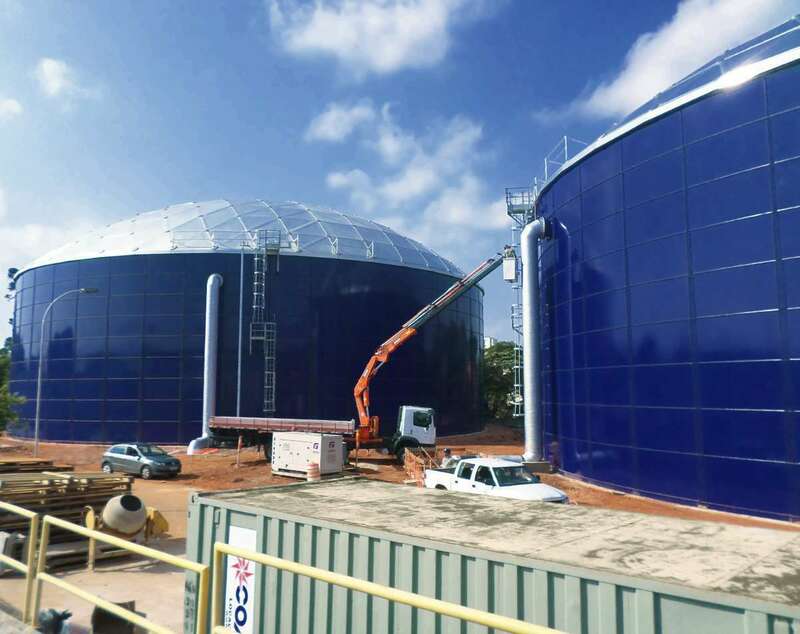 Tank Connection was selected for this project based on overall product quality and service combined with our ability to deliver within a condensed time frame. 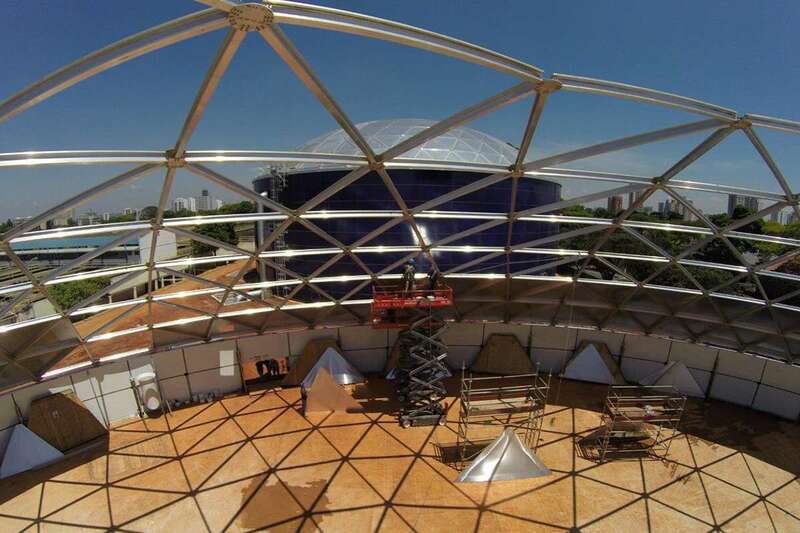 The two, bolted RTP (rolled, tapered panel) tanks, topped with aluminum geodesic dome covers, measure 148 feet diameter by 44 feet tall with a capacity of over 5.3 million gallons. 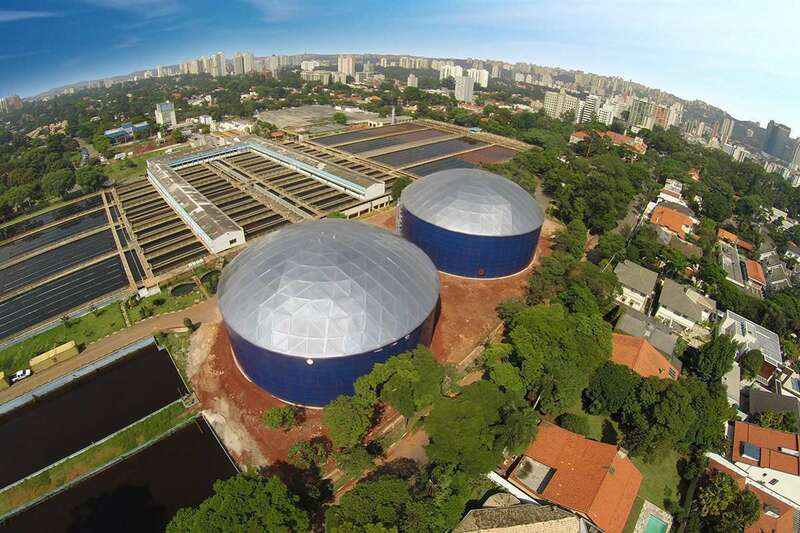 The tanks are located in Sao Paulo, Brazil and are built to store potable water. 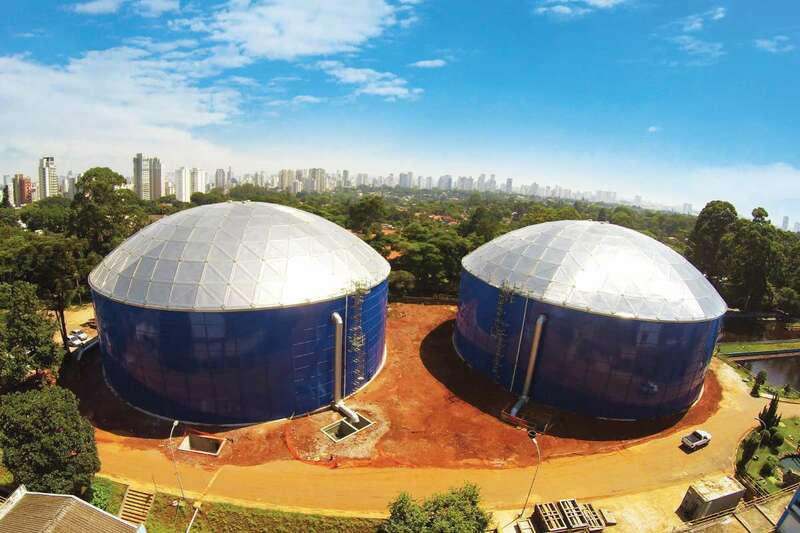 These tanks are instrumental in the water supply of Sao Paulo, Brazil and will add over 40,000 m3 in needed storage capacity a year. 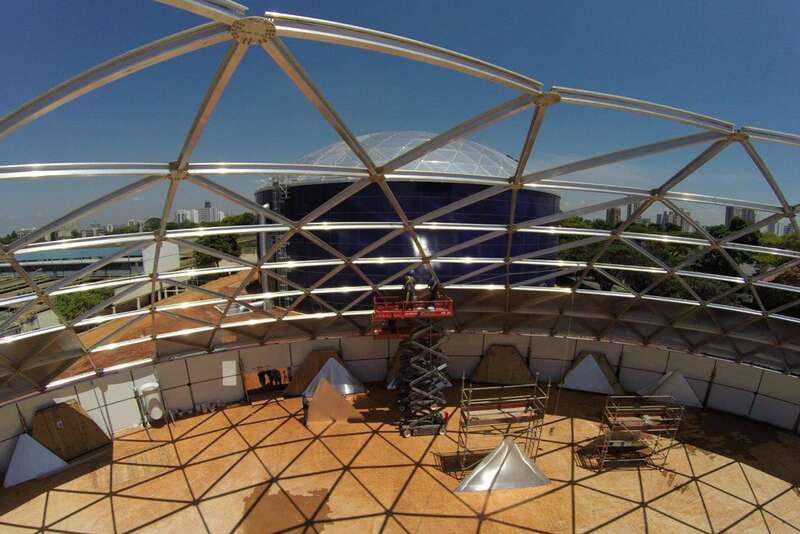 If a water storage tank system is located above ground, Tank Connection’s hybrid bolted system is the top performance water tank design available in the marketplace. 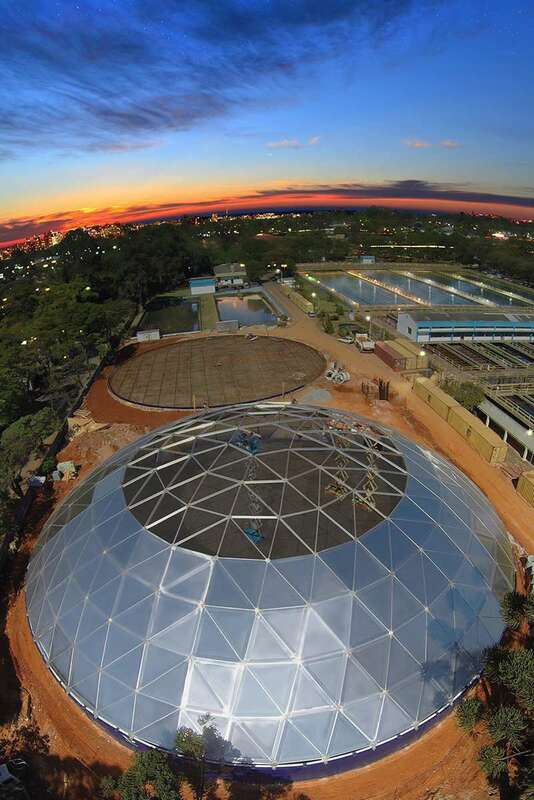 A hybrid system combines the best attributes of concrete, bolted steel and aluminum construction into a premier water storage tank containment system. 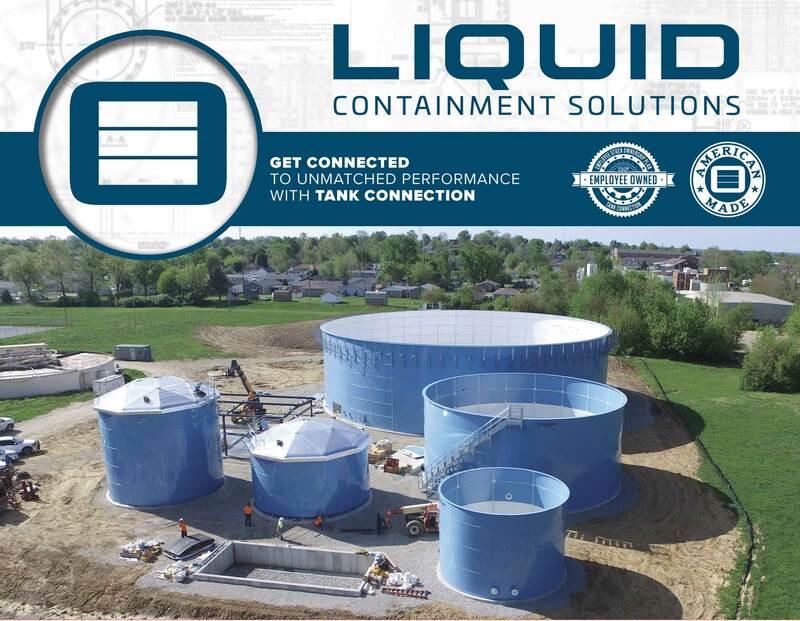 This system provides superior performance over other types of tank construction including flanged bolted designs, flat panel designs, field-welded and concrete construction. Tank Connection’s proprietary LIQ Fusion 8000 FBETM is NSF 61-certified and is unmatched in performance. 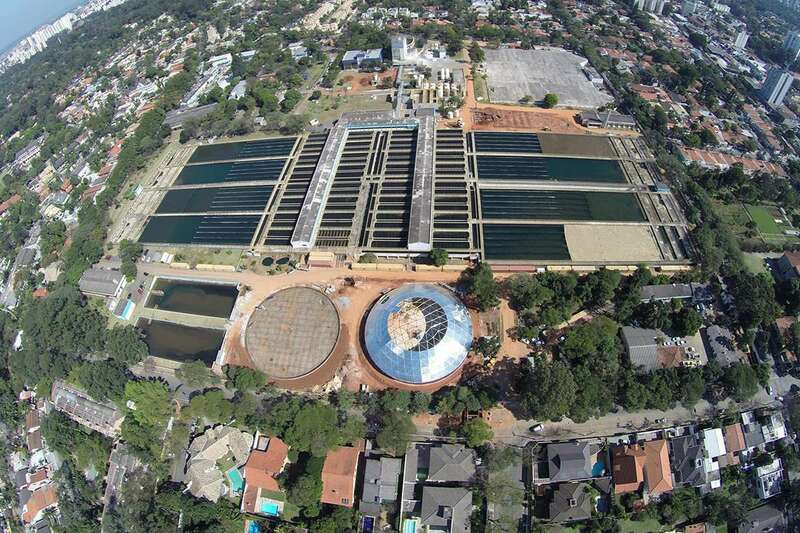 LIQ Fusion 8000 FBETM is a stronger system than “vitreous enamel/glass” for all types of potable water, process water and wastewater applications. Constructed entirely of aluminum, utilizing our proprietary component fabrication, Tank Connection domes are corrosion resistant, maintenance free and designed for extended service life. 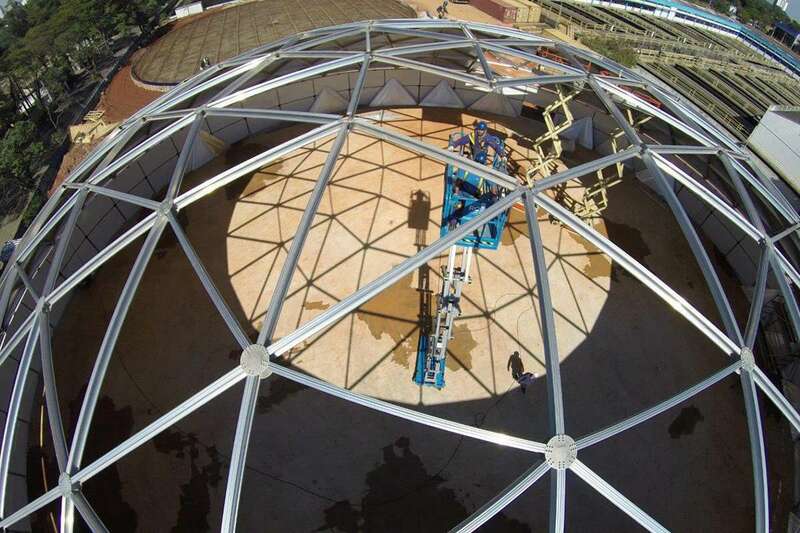 Tank Connection offers unlimited dome sizes ranging from 32’ up to 300’ diameter (9.95 m up to 61.75 m).